Have you ever received a voicemail, then, after listening to it, the notification remains on your Galaxy S9 display? You try to swipe it away but you can’t. And, you even tap it, select hide content, however, it stays stuck on your screen. Moreover, the voicemail notification stays on the screen no matter how many times you listen to it. It stays there even when you have no new messages! For what its worth, you can ignore the notification. However, how do you know when you truly have a new voicemail? How can you tell when to check your voicemail box for new messages? 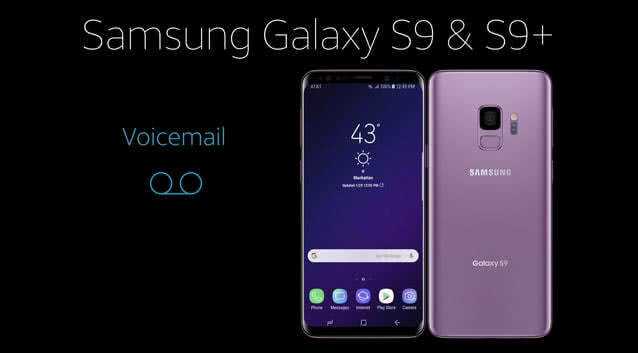 In this article, we discuss how to get rid of the voicemail notification on your Samsung Galaxy S9. Luck is on your side! There are several ways to get rid of the voicemail notification on your Samsung Galaxy S9. So, what are these simple tricks that you can use if your Galaxy S9 voicemail notification won’t go away? Firstly, we use the restart method, then the disable/re-enable method, as well as the data clearing option to delete the voicemail notification. Ok! Let us begin! Have you tried restarting your Galaxy S9? For many software glitches, like the voicemail notification glitch, a quick restart resolves the issue. Turn off your Galaxy S9 completely for about 15 seconds. Then, start the smartphone. Has the voicemail notification disappeared? No? Then, move to the next fix. Is It Ok To Use Any Charger With My Samsung S9? How To Block Someone On My Galaxy S9? Wi-Fi, 3G, 4G/LTE – Which Uses Most Battery Life On The S9? Is There A Way To Change Language In Google Chrome On My S9? Ok, so you’ve tried the methods above. However, the Galaxy S9 voicemaiil notification won’t go away. Then, the next thing to do is clear cache/data for the phone/voicemail application. When you delete this data, you reset the settings and data of the applications. Rest assured that you do not lose any voicemail messages during the process. Finally, check to make sure that your voicemail icon displays correctly. Is the new voicemail notification still stuck? Then, try removing the voicemail app’s data instead. To do so, follow the guidelines below. Is your Galaxy S9 still showing the voicemail notification? Then, your next step is to contact your service provider. Thanks for reading what to do when Galaxy S9 notification won’t go away here on ORDUH.